Mother’s Day is about celebrating the ladies that we love in our life: where would we be without mothers, after all? 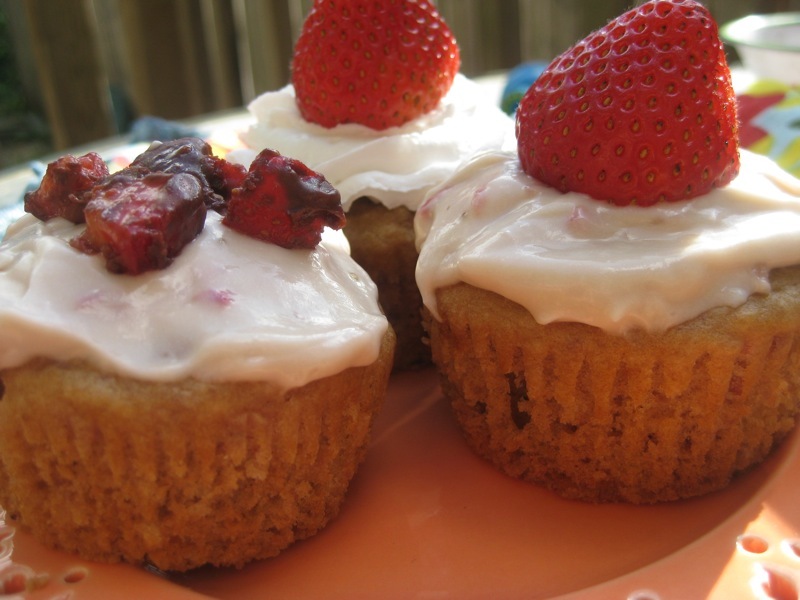 There are many ways to treat mom, and we can't think of a tastier way than by baking her some seasonal, organic strawberry cupcakes with creamy strawberry topping, both made with a fresh strawberry puree. These sweet treats have received a healthier makeover, so you'll be pampering Mom by baking her a cupcake that’s better for her, albeit just as delicious as any other sugar-laden goodie. Read on for a Mother's Day dessert that will please Mom (as well as the kids and grandkids!). 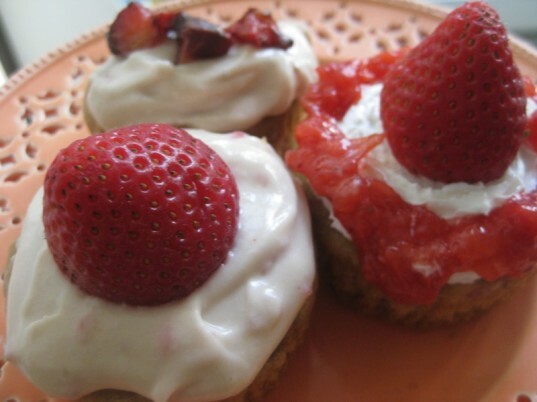 As always, use organic ingredients whenever possible and definitely for the strawberries. 2. Prepare for the cupcakes. Preheat the oven to 325. Fill a cupcake tin with preferred liners. In a small bowl, combine the non-dairy milk and the apple cider vinegar, stir gently, and let sit a few minutes while you puree the strawberries. The apple cider vinegar “curdles” the milk so that it resembles buttermilk. 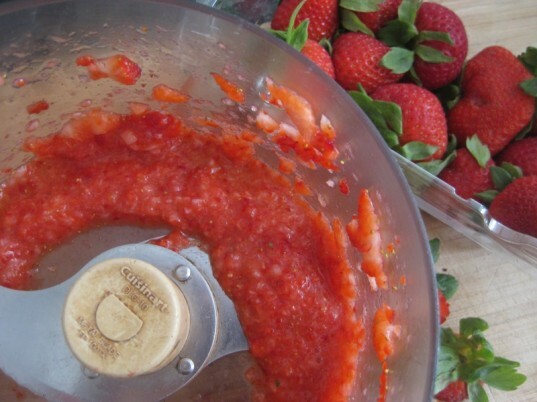 Puree the strawberries in a food processor until smooth. Measure out 1/3 cup for using in the batter. The frosting also requires strawberry puree, so you can also puree those strawberries at this time if you like. Stir the strawberry puree, agave, and oil into the milk mixture and mix well. 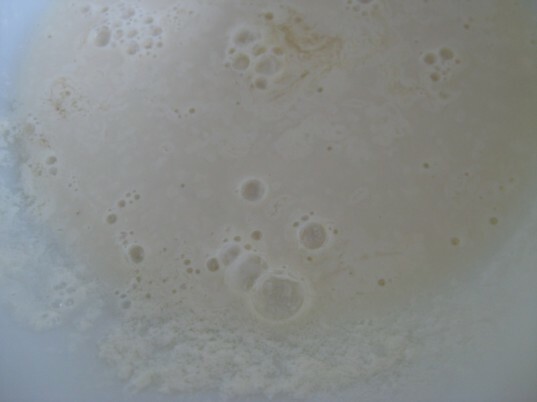 In a large bowl, combine the flours, baking powder, baking soda, and sea salt. Add the wet ingredients and stir until the batter is smooth. 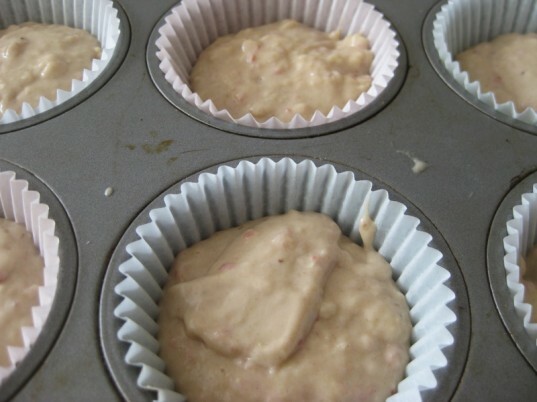 Pour the batter into the muffin tins (about 2/3 full) and bake for 17-18 minutes. Check “doneness” by inserting a toothpick into the cupcake’s center to see if it comes out clean. Remove from the oven and cool completely. If you haven’t already, make the second strawberry puree by blending the ¼ cup of strawberries. You want about 1/8 cup of puree. Combine with the agave nectar and set aside. 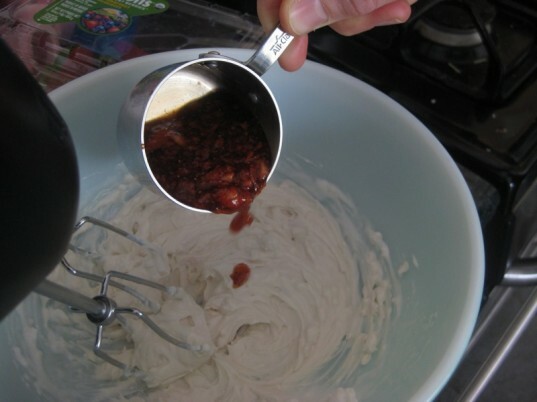 Using a hand-mixer, beat the cream cheese and whipped cream together at a low speed. Gradually add the agave nectar/strawberry puree. The mixture will be fairly loose and creamy. Slowly add the confectioner’s sugar and beat until well-combined. Refrigerate for at least ½ hour. 6. Frost and top the cupcakes. When you are ready to serve the cupcakes, spread on frosting. Add chopped fresh strawberries, whipped cream, any extra strawberry puree or make chocolate-covered strawberry bits. To make the chocolate-covered strawberry bits, chop a few strawberries into desired size. Melt 2 Tbsp chocolate chips in a double boiler. Remove from heat and stir in 1 tsp coconut butter or oil, stirring until completely combined. Drop in strawberry bits and coat. 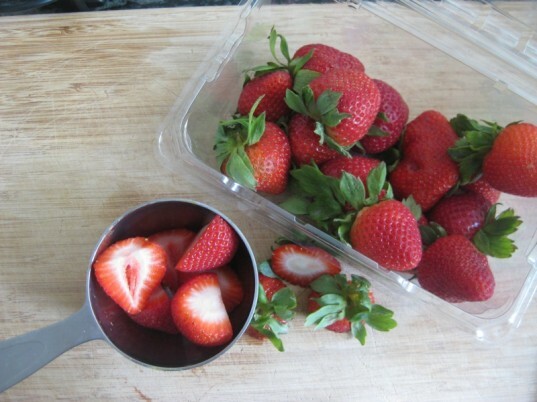 Place strawberries on a plate or silpat and refrigerate until the chocolate has hardened. Once the cupcakes have been topped, serve immediately. This topping is light and creamy (and much healthier than the versions that require using cups upon cups of powdered sugar). The taste is delicious; however, it will get very soft if left out too long. If you crave a more traditional texture, add more confectioner’s sugar to taste. Either way, enjoy and happy Mother’s Day! Once the cupcakes have been topped, serve immediately. This topping is light and creamy (and much healthier than the versions that require using cups upon cups of powdered sugar). The taste is delicious; however, it will get very soft if left out too long. If you crave a more traditional texture, add more confectioner’s sugar to taste. Either way, enjoy and happy Mother's Day!